Apple iPad (all versions) makes for a perfect eBook reader – if you can afford one. Dozens of reader apps are available in Apple Marketplace. Great screen, especially in The New iPad. iPad is as good an eBook reader as they come – at least in the color LCD screen domain. Strictly speaking, Android tablets are not dedicated eBook readers unless marketed as such (e.g. Amazon Kindle Fire, Barnes and Noble Nook Color or Nook Tablet). However, there is nothing to stop you from using your Android tablet as an eBook reader. In fact, Android tablets make for great eBook readers. If you get the right tablet from a well-known brand (e.g. Apple iPad, Samsung Galaxy Tab or similar offering from a brand name), you'll get a perfect eBook reader and a versatile tablet in a single package. You can even turn your Android tablet into Amazon Kindle! Simply download a free app from Android Market, and you'll be able to browse, buy and read eBook from Amazon store in seconds. Note: avoid cheap Android tablets from unknown makers at all costs. Typically distributed from Chinese wholesale sites, eBay and small computer shops, these may look similar to the real thing – but they aren't. Featuring cheaper hardware, dismal TFT LCD screens and resistive touch-sensitive displays, these are simply not worth bothering at any price. Our condolences if you happen to have one already. eBook readers are computer devices. They are powered by a microprocessor (CPU) and carry a certain amount of operating memory and on-board storage. Obviously, they have displays and keyboards, even if those are just a few buttons or "virtual" on-screen keyboards. As any other computer device, they run applications and are controlled by an operating system. A combination of a built-in operating system and pre-installed applications is called firmware. Firmware determines what features are available on the device, such as supported file formats, navigation and control elements. The quality of firmware directly affects the stability of the device, its speed and overall finesse. With hundreds of eBook readers produced by dozens of manufacturers, the quality of their firmware varies greatly. Many no-name eInk readers are especially well known for their low quality firmware. Major manufacturers such as SONY, Amazon or Barnes and Noble will usually have the best, most ergonomic and bug-free firmware, although you'll find the amount of available features short of amazing. 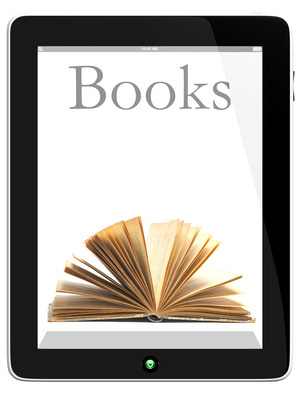 eBook readers carrying color LCD screens are typically powered by the Android OS. Android is a well-known, well developed system that allows building robust tools. You can usually choose what apps to run on your Android-based reader (with the exception of Amazon and Barnes and Noble offerings that come locked, restricting your choice of available apps to what's available in their own stores). That said, firmware quality is less of a concern for Android devices; you'll worry about their hardware quality much more than about their software. The next chapter will cover the many various eBook formats, format converters, and the issue of software bundled with eBook readers.